Electric Motor Sales has a full range of pool and spa pumps in stock from well known brands like Onga and Davey Pumps. We can supply or source a pool pump or spa pump to suit your needs. Below is just a sample of what we can supply. Please contact us if what you require is not listed. Specially designed to provide reliable and efficient pump operation. Featuring new wet end design and incorporating new moulded end shield cover and lip seal to protect the motor from water damage. Ideal for in above ground or in ground pools. The Onga Silentflo is the swimming pool pump for high quality pool installations. Featuring industry leading efficiency, the Onga Silentflo lowers the cost of pool ownership, while also featuring extremely low noise levels. Pools from 20,000 litres up to 130,000 litres. High quality Pools where quiet operation is a must. Pools where high efficiency is required. Ideal for medium sized swimming pools, the Onga Leisure time pool pumps have been designed to supply maximum performance and corrosion resistance at a economical cost. Featuring variable drive technology controlled by an onboard computer and first class software for pinpoint programming or totally automated operation to allow for optimum flow rates, the intelliflo operates at an average of 1/10th of a horsepower, using approximately 100 watts of energy. About the same as a light bulb, variable speed capability supplies potential savings of up to 90%. The Whisperflo moves water more efficiently and more quietly than competitive pumps. Whisperflo offers the highest water flow of any high performance pump, with the lowest power consumption. Silensors water-cooled motor uses a small water flow around the stainless steel, corrosion proof motor shell which captures noise and vibrations allowing the Silensors Super quiet operation. Silensor is designed using the latest computational fluid dynamics to move water up to 15% more efficiently than most standard pool pumps. Quietness may allow operation of the pumps late at night when energy costs are much lower (off peak). 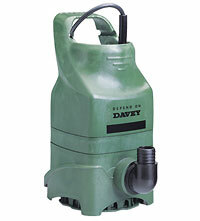 The Davey PowerMaster is a fantastically reliable pool pump constructed of strong corrosion and UV resistant materials for a long and lasting working life. A built in check valve protects that pump internals from reverse flow, with an extra heavy duty, totally enclosed mptor to add protection from the elements, with a built in thrmal overload to protect against damage from over heating. This powerful pool pump delivers optimum flow rates for rapid pool water turnover, with quiet and efficient performance. The large leaf basket has an easy to remove see through strainer for easy removal of leaves and longer intervals between cleaning. A three phase model is also available for commercial pools and aquaculture applications. A compact pump for small to medium sized, above and below ground pools, and solar heating applications. Tough, high performance pool pumps for optimum pool water circulation and years of reliable service. Aquatight Pinnacle quality pool pumps provide high performance – even in salt water pools and spas. Submersible pond pump with adjustable inlet strainer. Designed for continuous operation - 24 hours a day, 7 days a week. Open impeller, centrifugal pump with adjustable strainer means the pump can pass small soft solids in the water without blockage. Can be operated vertically or horizontally so they are easy to install and conceal. Suction strainer easy to remove for cleaning to provide easy maintenance and efficient operation. Made from corrosion resistant materials for a long service life. No oil in motor or seal means they are safe for fish ponds. Dynapond 8000 now manufactured in sea water safe materials, making it ideal for marine applications.